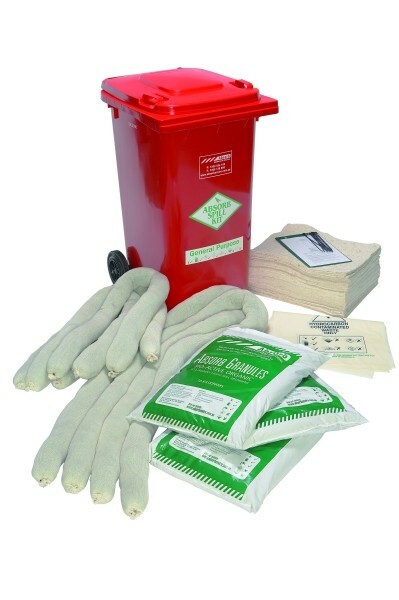 This kit handles hydrocarbon and general liquid spills like general purpose spill kits, but contains only renewable organic absorbents often made from recycled waste products. The kit includes organic pads for hydrocarbon spills, granular absorbent and booms for general spills of hydrocarbon and water based liquids. * Companies looking to use renewable absorbents instead of the synthetic based alternative. * The organic pads will not absorb water based liquids. Instead, use the kit’s organic booms or Absorb Granules.